Any other clinics that do a lot BHT work besides Umar? Dr. Cole in Atlanta , he was probably the first in the US to perform BHT on a regular basis. Had a consult, but Im not sure what to think. His consultant seems to waiver back and forth in what Dr Cole wants to do and it makes me feel Dr Cole is not to confident with BHT. Maybe consultant is newer? I had 2 procedure with Dr Cole years ago and for some reason second one in 2006 most hairs didnt take and lot shock loss. I had procedures with lot good docs from poat above, but lack luster results from photos above. Dr. Cole most expensive Ive come across as well. If his consultant presented a solid game plan I would see Cole. Im not sure how Dr Epstien work is ? But see he does BHT as well. I woyld consider Dr Umar , but told his BHT results dont look that natural although he gets alot of coverage and his instruments are the best? So reason why Im here asking around who can help. Need hair transplant and want to get diagnosed by our doctors? No problem! 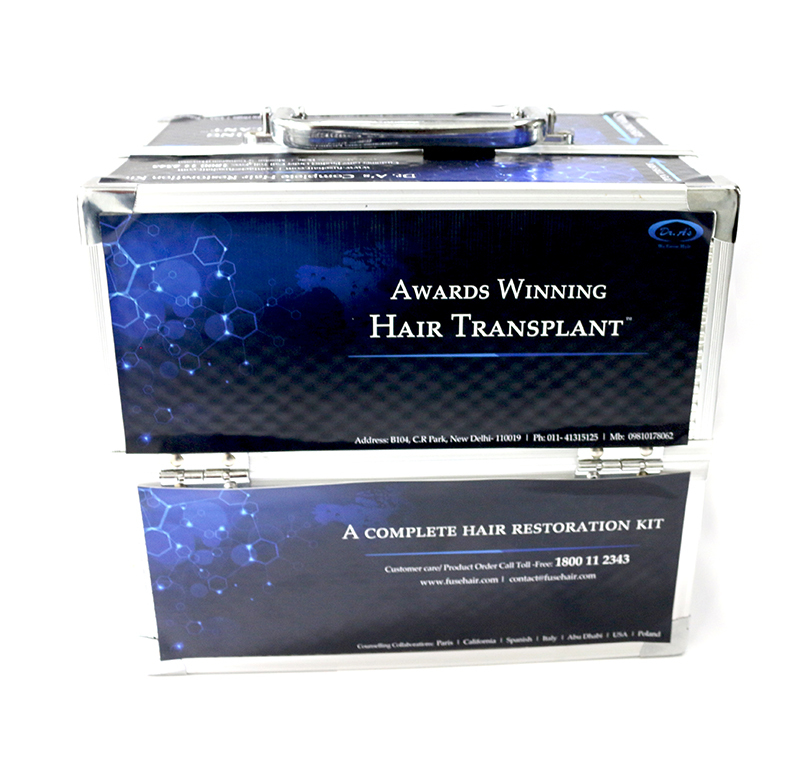 Get a free online (virtual) Consultation and make a big step into restoring your hair permanently! Do you not know who taught Dr Umar? Wait what just happened? Dr. Arvind, are you the discoverer of Body hair Transplantation? I saw it play out on this very site a decade or so ago, you showed Dr. Umar how you performed BHT/FUE , Dr. Umar didn’t think that was the best way to do BHT/FUE so he abandoned your technique and went on to develop his own technique using his own instruments. The first documented body hair transplants took place as early as 1929 by Dr. Okuda from Japan, using punches of his own design ranging in sizes of 1mm to 4mm. He wrote the first paper that was published about the subject in 1939 about his efforts, successes, failures and the various experiments he attempted. To date, his level of detail for documenting his results, I believe nearly 200 or so, is among the most detailed hair transplant surgery notes in history so it wasn’t just a few notes scribbled down two or three times. It was real science. It was Dr. Woods however that was the first “modern” doctor to perform body hair transplantation of any kind. I’m sure he did so before, but his patient “Timetested” is I believe the first documented case of BHT since Okuda, and it was an incredible success. Oh yeah, he is also the inventor of “modern” FUE as well, in case anyone forgot. I feel compelled to remind everyone of this, or to inform those that don’t know, because this business is fraught with those that would rewrite history to their benefit, and it’s been tried before. The real history of hair transplant surgery, and more specifically FUE, is documented on my website. sigh, I’ve been in this biz for too long! That is why we can take hair from even eyebrow without leaving scars. As for what a person says…we have no control. Advances keep happening as we too have advanced since 2005 when Dr Umar visited us in India and we and Dr Arvind are proud that instead of coming all the way to India the same techniques, instrumentation are now available in USA. Once again…results speak for themselves. In today’s marketing world, you will not find most top-line doctors admit to having learnt. However, it is on Dr. A’s insistence, that Dr. Okuda’s papers were given credit. (proof will be available in last week of May 2018). In fact, Dr. Arvind Poswal is the world’s first hair transplant doctor to design the e-observership course so that ALL doctors get to learn hair transplant in the correct way. In addition, we are launching as our 21st year celebration Dr. A’s comprehensive hair transplant kit. Satyam hair transplant center is best for hair transplant surgery. We have modified tretmnt procedure and update post care techniques to cure you the best. Consult your problem with our experienced staff for details and results. Are you a spam poster? We just checked out your site. You have supposedly 9 branches in India and 6 branches Internationally in Africa, Turkey, Australia, Russia, UK, and Canada. Yet, your patient gallery has hardly any results and even those that are posted are low-resolution pictures. If you wish to post on random threads to gain free publicity than please do not do so on this thread. Because we have had to repair many cases from such spam clinics who deplete the donor area and leave large scars. Refer to our hair transplant repair gallery which is filled with numerous such cases performed by so called doctors who have not recieved proper training in hair transplant. In fact I would suggest you to go through the e-observership course, the trailer which is available to view for FREE.